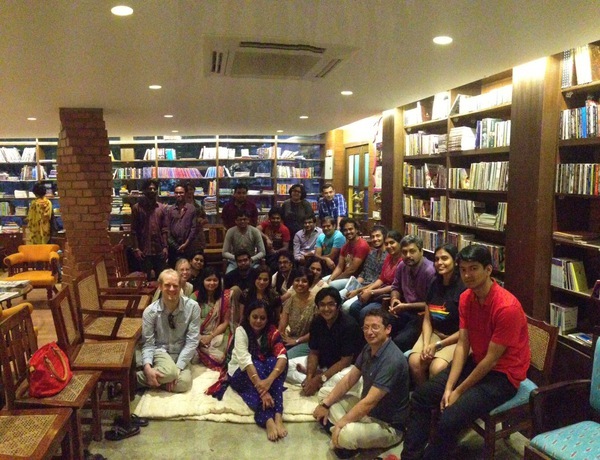 Bangalore Storytelling Society | For the Love of Stories!!! Stories are an integral part of the fibre that makes us human. We share our beliefs, values and culture through stories. Bangalore Storytelling Society is a body of Storytellers who have come together under a common umbrella for the purpose of learning, nurturing, reviving, training and popularizing Storytelling. Bangalore Storytelling Society (BSS), a registered body, formed in 2013, is dedicated to reviving, promoting, nurturing the art of oral storytellin and popularizing it as a performance medium. The BSS will carry out activities related to storytelling such as meet ups, tell-a-thon, festivals, workshops, and publishing; it will also network and collaborate with international storytelling groups to bring about cultural exchange through storytelling. How can we join the society? Can we join as a beginner looking to learn the art? I am interested in understanding more about the art of story telling.. I want to join the group. Please advice what I have to do. I would like to learn the art of story telling. What is the procedure to join ur institution? Would like to be a part of your society to learn and give. I am also very passionate about story telling and have been working with little children for 35 years. I also work with children with learning difficulties.Would love learn more and get better. would love to be part of the society and learn the art of story telling, would be great if any one can let me know the process of joining the society. Please visit my story blog. A collection of true stories for business storytellers. Would love to live in dreams with you all..please let me know how to be a part of it. helloo, I m Nagarathna, working as a kindergarten teacher. Story telling is my hobby and part of my job. Please let me know how can I be the part of BS S.? Hello..Am a teacher in an esteemed institution in south Bangalore..My subject of teaching is Theatre n Storytelling..I would like to join Ur group as am too enthusiastic about ur work.. Kindly do the needful.. I am interested in the study of orality n myriad forms and dimensions of storytelling traditions of India.